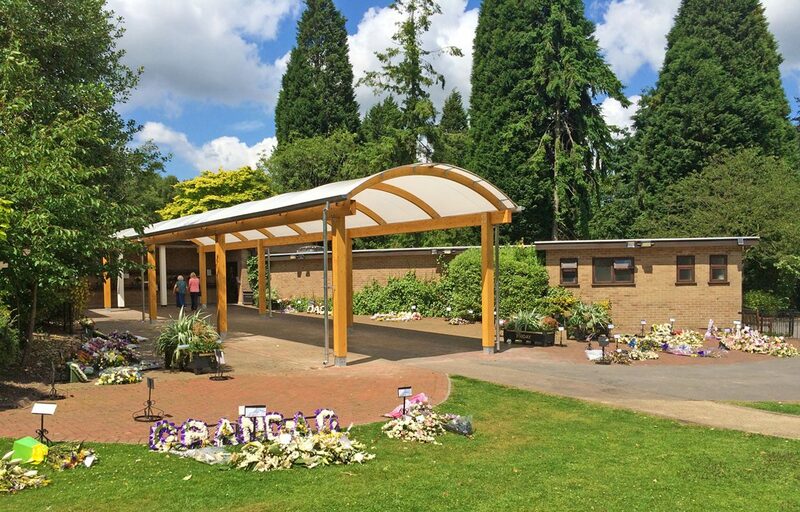 Timber walkway designed and built for crematorium. 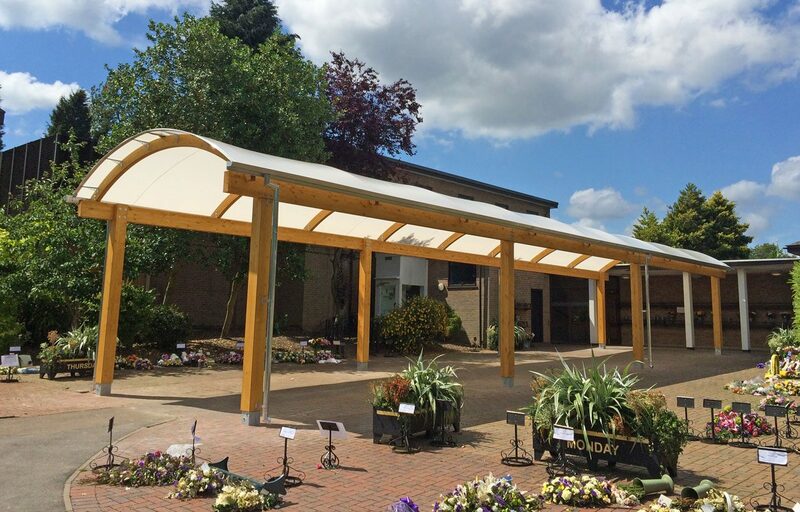 A 20m long x 4.8m span timber canopy, similar to the walkway at Parndon Wood Crematorium, creates a safe and weather protected passageway for visitors leaving the main building at Sutton Coldfield Crematorium. 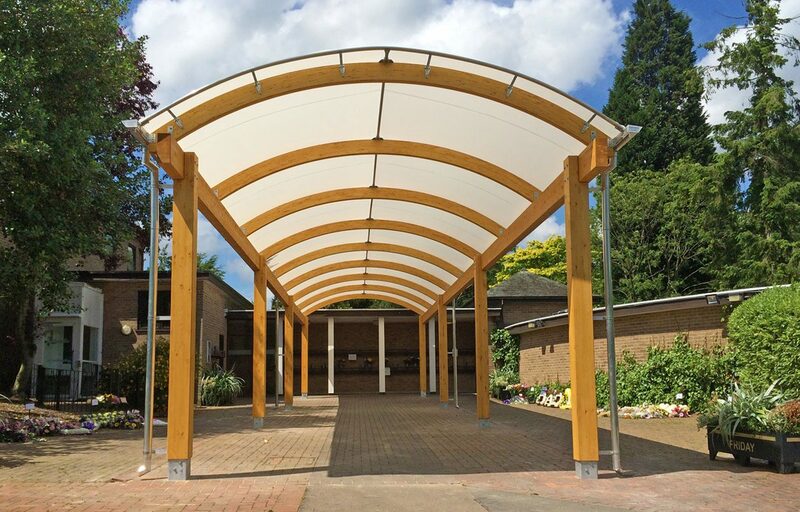 The timber structure, a fitting material for the surrounding context, is clad in an Opal 60 roofing solution. This technology lets 60% light transmission while remaining 100% waterproof and has a 10 year guarantee. 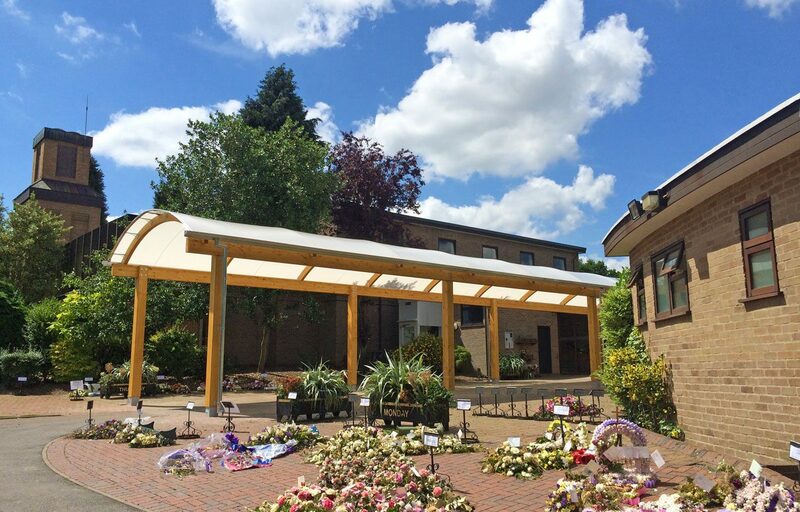 Fordingbridge were able to design and build the structure, ensuring the crematorium had one point of contact throughout, providing them with a seamless construction experience.